From festivals to food, the fall season seems to permeate every aspect of Japan… and for good reason, too! Japan is one of the few countries in the world that experiences four distinct seasons, and each one is joyously celebrated. Like cherry blossoms in the spring, the autumn leaves invite international visitors from September to November. Historical texts show Japanese people traveling to view the leaves changing colors as far back as the 8th century. Maple leaves are so ingrained in the culture that words used to describe the experience of seeing them often appear in Japanese proverbs. “Scattered autumn leaves,” means to go red with embarrassment. “Hands like tiny maple leaves,” describes an infant’s hands. 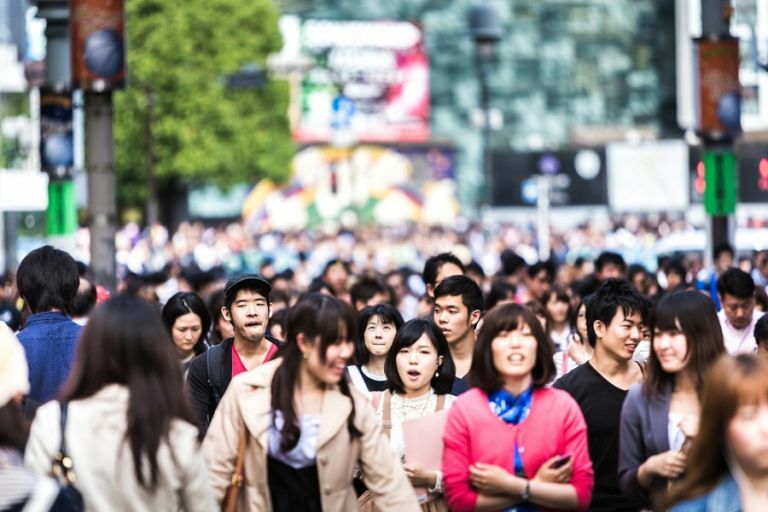 Here, we’ve prepared answers to some of the most common questions about fall in Japan. What are the best places to visit in Japan during autumn? When is the best month to go? What should you wear? Read on to find out all this and more! WHEN IS THE BEST TIME TO VISIT JAPAN IN AUTUMN? Travelers booking in early September will save big on flights, but might not experience the best weather. During this time of year, central Japan has a short rainy season, and some parts are prone to typhoons. Not the mention, it can still get quite hot and humid during this transitional period. If you’re coming for colored leaves and cool weather, opt to fly sometime after the autumn equinox. The exact dates largely depend on your destinations. The turning of the leaves varies due to temperature, elevation, and latitude, but the good news is that most tree species keep their leaves from two to four weeks. Compared to the fickle, albeit ephemeral, cherry blossoms, you’ll have a lot more dates to play with when planning your trip. 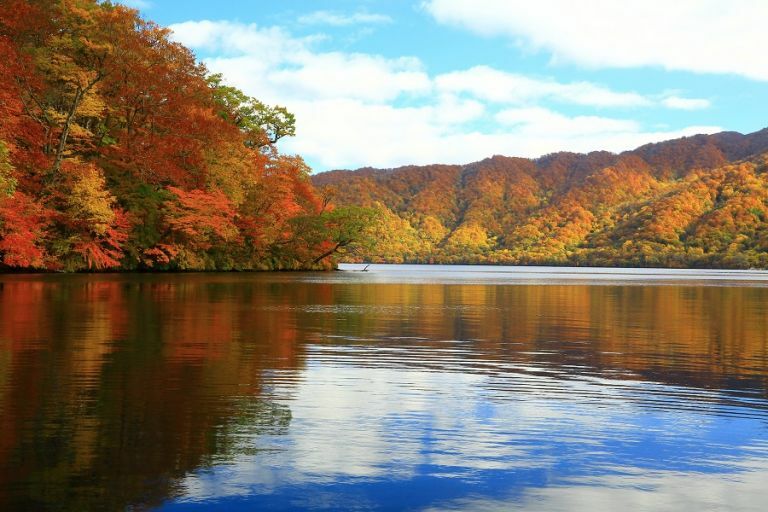 Generally speaking, the northern-most areas of Hokkaido and mountainous regions change colors from mid-September to October, central Japan peaks between October and November, and the autumn foliage finally reaches the southern parts as late as December. Almost anywhere you go will have spectacular views, even from the window of your train. If you’re a nature lover, hit a hiking trail in the countryside. If you prefer big cities like Tokyo, parks such as Shinjuku Gyoen turn to breathtaking golds and reds. One word of warning: some “must see locations for fall colors” (like Kyoto, Japan in autumn) get particularly crowded on weekends and public holidays. Below are some of our top picks for places to see autumn leaves. From mid-October to early November, the maple trees surrounding one of Japan’s deepest lakes become a patchwork of fall colors. You can kayak or canoe over the crystal water, hike in the surrounding mountains, or explore the small fishing towns along the banks. 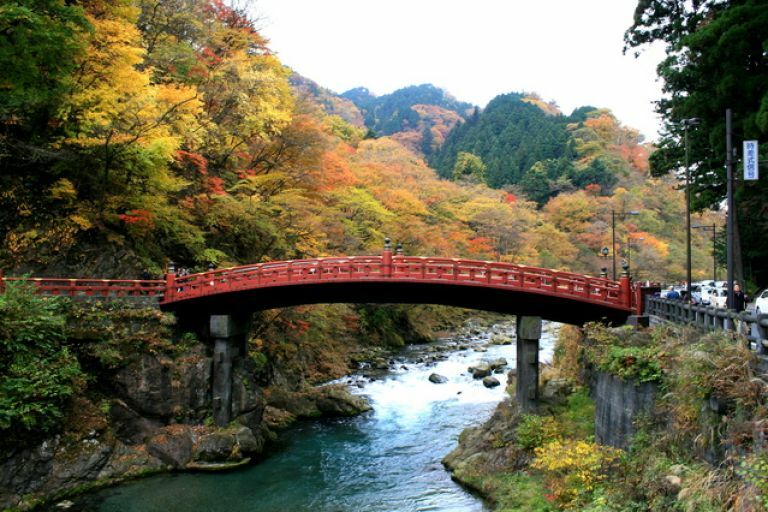 Not just autumn leaves, Nikko, Japan also features some of the most celebrated natural sceneries and historically significant places in the nation which puts this town on our list of must-visit places in Japan. The fall colors usually reach their zenith from early October to early November. 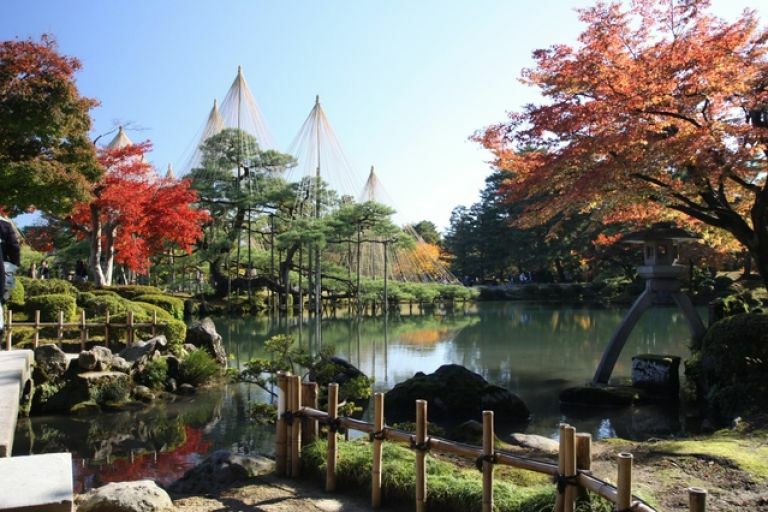 Along with Kairakuen and Korakuen, Kenrokuen is among Japan’s “Three Great Gardens.” The autumn foliage with the aesthetically pleasing bridges and teahouses is a sight to behold from mid-November to mid-December. 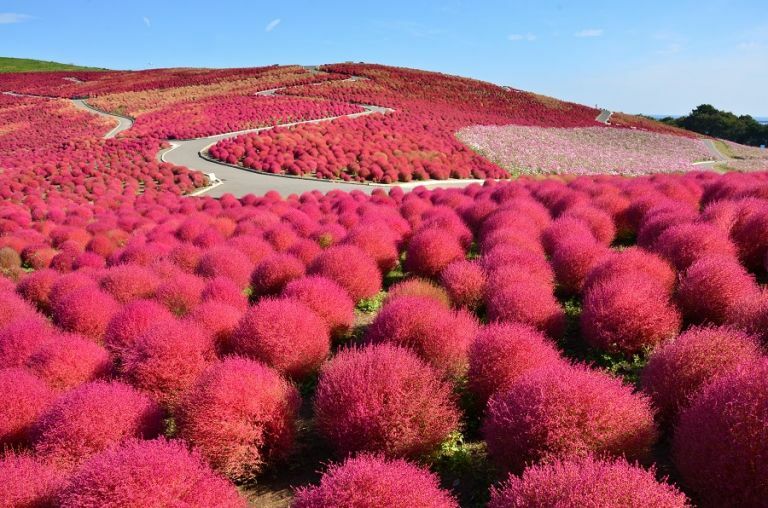 If you’re tired of leaves—if that’s even possible—mix it up by seeing the crimson kochia (summer cypress) in Hitachinaka City, Ibaraki Prefecture. In mid-October, they turn from lush green to a deep crimson. Summer holds the most festivals out of all of the seasons, but there are still plenty of celebrations to choose from in autumn. Most matsuri during this time honor harvests or natural phenomena. 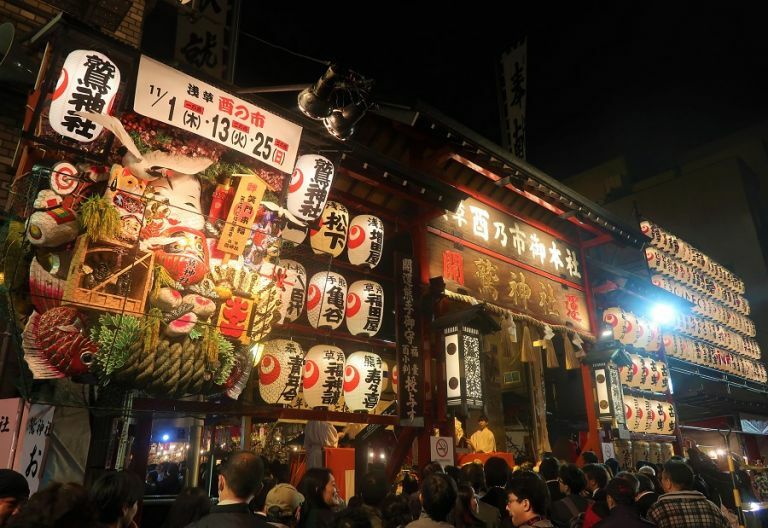 On October 9th and 10th you can witness one of the grandest mid-autumn festivals in Japan. 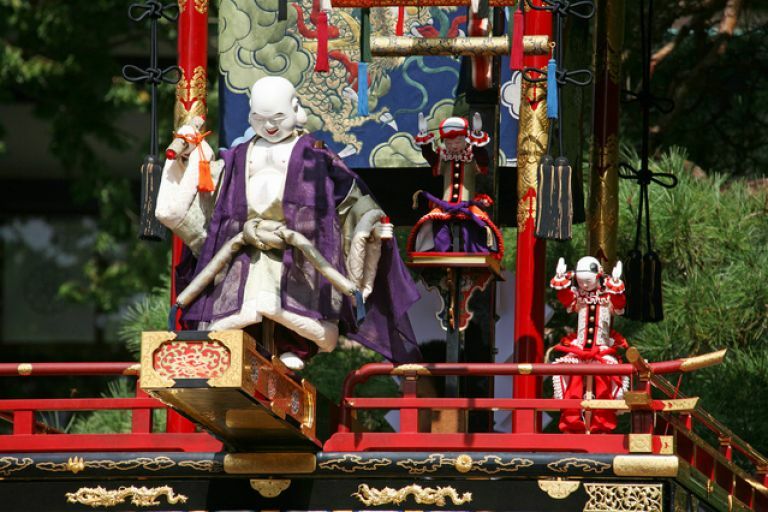 The Takayama Hachiman Festival in Gifu Prefecture features a procession of dancers and yatai (wooden floats) adorned with marionettes that were made in the Edo period. For three days in November (determined annually by the lunar calendar) temples and shrines across Japan celebrate the Tori-no-Ichi festival. Business owners and employees often attend these events to buy kumade (decorative bamboo rakes) and to pray for fortune and prosperity in their industries. 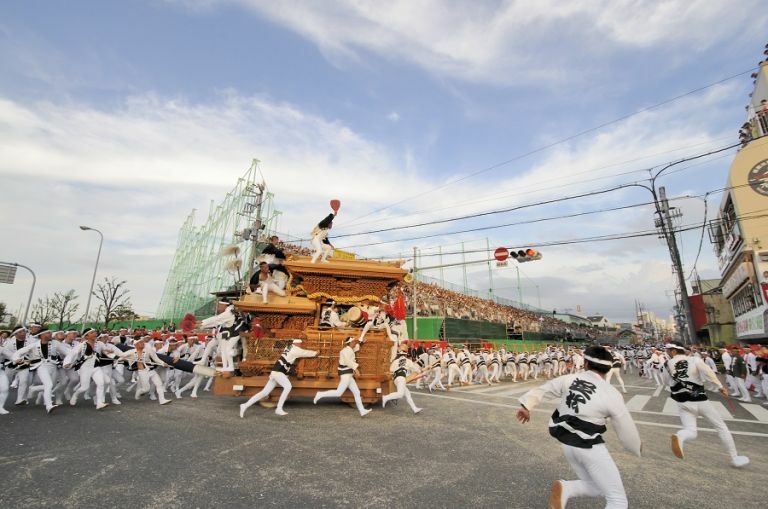 The unassuming little town Kishidawa (near Osaka) holds the Danjiri Matsuri in late September and mid-October. Teams representing the local neighborhoods race massive wooden floats at break-neck speeds for fun and bragging rights. Although you can enjoy this dish any time of year, Japanese people tend to eat hot pot soup more often during the cold seasons. 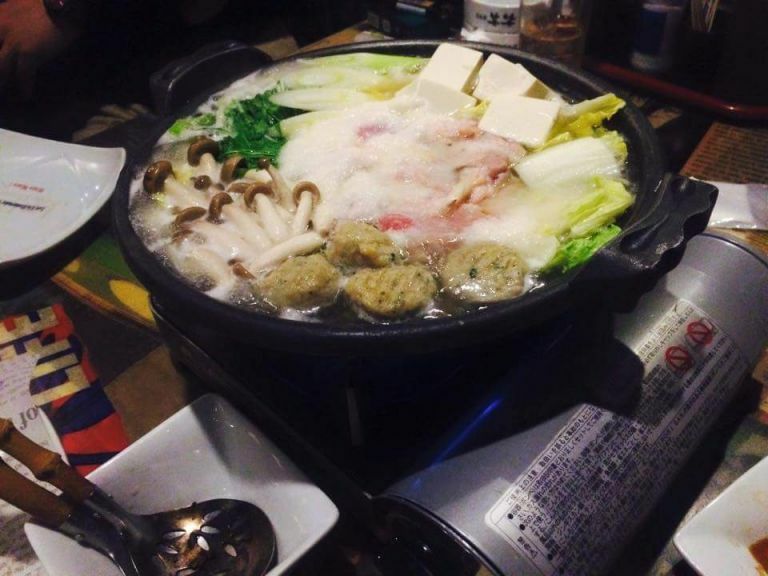 Nabe dishes range in types depending on recipes and local delicacies, but the general idea is that every person in a group of friends or family members participates in the cooking by adding their favorite ingredients. Fall is persimmon season in Japan. 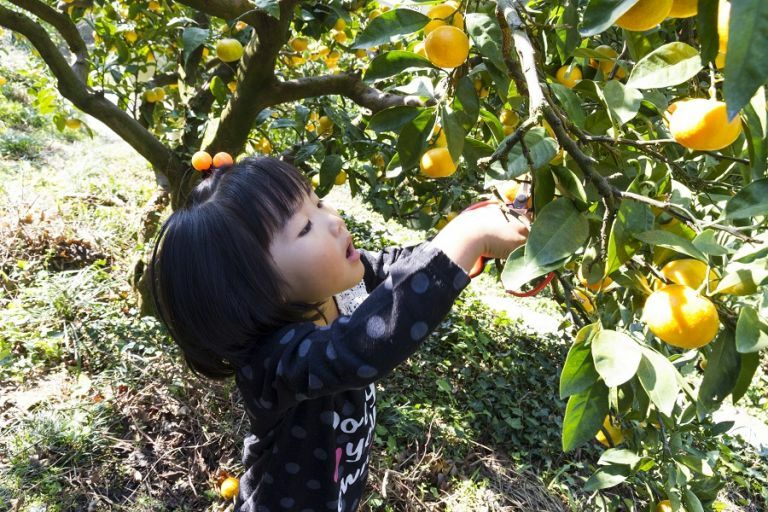 The best persimmons come from Nara where you can go to farms to experience picking and eating fresh persimmons for yourself. 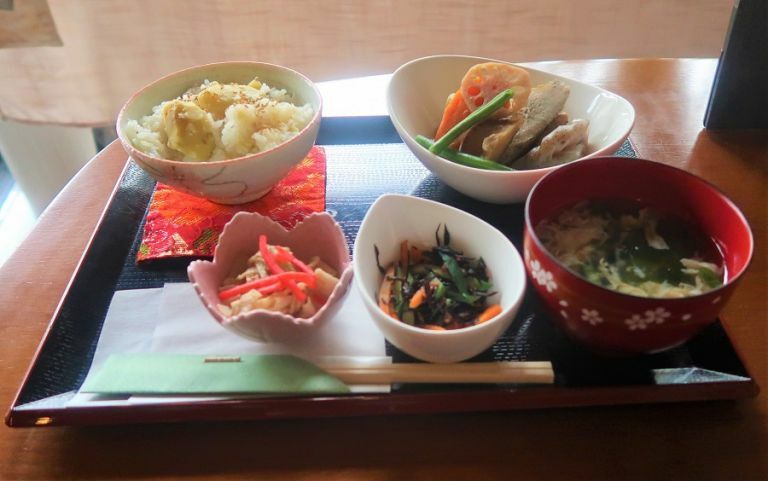 If you want to experience Japanese “home-cooking” look out for any restaurant that serves Kuri Gohan. Chefs add boiled and peeled chestnuts to rice as it cooks to create this delightful, salty treat. If you want to avoid crowds, try to skip famous sightseeing areas these days. Or, join in the fun! You might have heard of Golden Week—a string of public holidays in spring—but what about Silver Week? If Respect for the Aged Day and the Autumnal Equinox fall on the 21st and 23rd of September, the week is declared a public holiday and domestic travel exponentially rises. Fortunately, the days don’t line up every year. The last Silver Week happened in 2015, and the next will take place in 2026. Even if you’re not coming during Silver Week, take note that banks and other public offices close on Respect for the Aged Day and the Autumn Equinox in Japan. Until just a few years ago, Halloween wasn’t widely celebrated, but it has recently exploded into a time of revelry for young people. 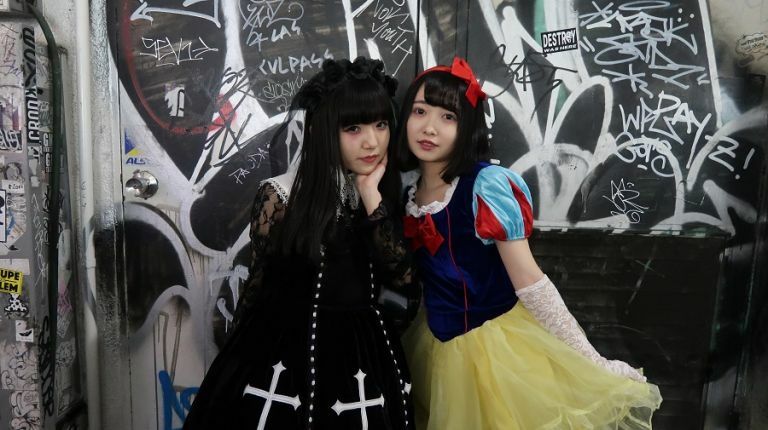 Avoid major city centers, especially Shibuya, on the Saturday before Halloween and on the 31st. Or, get your costume ready and join in the fun! According to Shintoism, 7, 5, and 3 years are significant ages for kids. 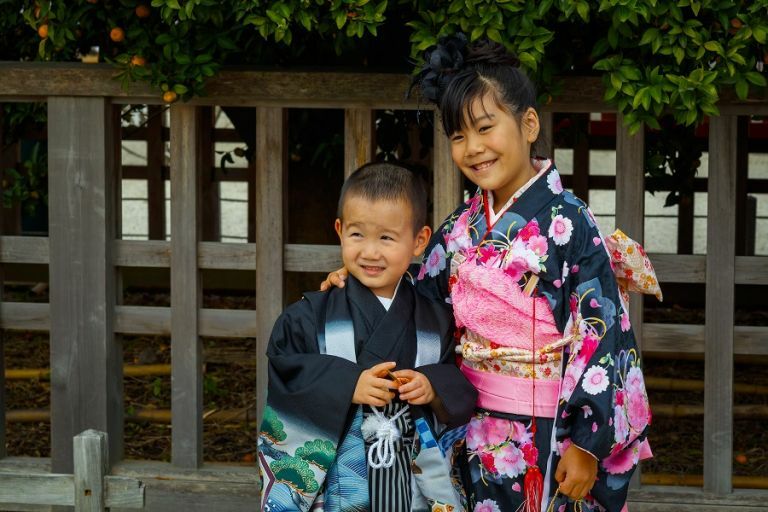 On November 15th, or the weekend closest to the date, children wear kimono—some for the first time—and receive blessings from a priest. Places like Meiji Jingu Shrine fill up with families. While Japan’s autumn months aren’t as busy as the cherry blossoms season, you’ll still need plenty of time to plan your trip. Hotels and ryokans (traditional Japanese inns) near major destinations raise their prices and get booked up as quickly as they become available. A good rule of thumb is to pick your dates about six months in advance, and then decide your itinerary based on the autumn leaves forecast. When it comes to packing, keep an eye on the weather. When autumn starts in Japan, afternoons can still be quite warm in most places, but the further north you go the chillier the mornings and nights will get. Autumn wear in Japan usually means T-shirts layered with long-sleeved overshirts, leather or jean jackets, and long pants or skirts. By November, you might consider bringing a coat, especially if you plan on hiking in the mountains.